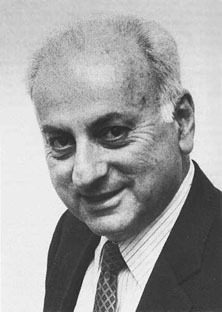 American physicist Melvin Schwartz studied under Isidor Isaac Rabi at Columbia University, and suggested in the 1950s that physicists could more easily study neutrinos (elementary particles with zero electric charge and virtually no mass) if these difficult-to-isolate submicroscopic particles were concentrated. His experiments led to the design and construction of devices capable of filtering out other atomic debris, leaving only neutrinos. Using such a device, the proton accelerator at Brookhaven National Laboratory, Schwartz and his colleagues Leon M. Lederman and Jack Steinberger discovered the muon neutrino in a series of "two neutrino experiments" from 1961-62. He won the Nobel Prize for Physics in 1988, and retired to Idaho in 1997, where he died in 2006. Parkinson’s disease complicated by hepatitis C, according to news reports at the time, though Parkinson’s is not a fatal disease.